What sound advice! I think that it can be all too easy to think you’re doing a good job if you’re making a lot of noise and creating a lot of buzz. But ultimately if that noise, and buzz isn’t taking you in the right direction then it’s (almost) meaningless. @PookyH So very true. I had written a post on such awhile back. 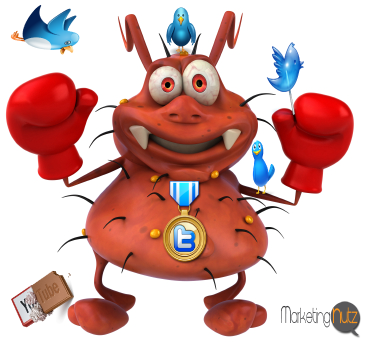 Many biz’s are fooled by the social buzz. I completely agree with #3 and 4. Often, social media marketers are too eager to jump into so many tactics/strategies/campaigns and end up making mistakes because the execution wasn’t thoroughly planned. @HLPMrkg @jasonyormark thx so much!! @joelrbernard Thanks for the RT! @MariSmith – I think you’ve probably got the best smile on Twitter Mari. @demonlism thanks so much Kelvin! @PamMktgNut Welcome! Have a great weekend! @JenneilPeters @growwithstacy Thanks for the RT luvs peeps! Have a fab weekend! You can succeed in social media, if you know how to engage your followers and understand the people psychology. You should be wise enough to predict the behavior of the person and launch your product at the right time. Thanks for your useful post. @lawtour Thank you for sharing this. I also shared it on my fb group page. @nahumg Just to say hi and wish you a great day. Thanks for sharing btw. @rjfrasca Thursday’s such a tease 🙂 Did you get my DM? Happy #FridayEve! @drsampyroy You are Welcome 🙂 & same to u !!!! @SproutSocial thanks a mill for the RT luvs!! @PamMktgNut hello there!doing good? following #london2012? @PamMktgNut Doing a lot of high level thought-provoking activities. Just moved a heavy bookshelf. Trying to decide where Bluto poster goes! @PamMktgNut Hope you are having at least an equally productive start to your week, Pam! – Gary – P.S. Really your FAV?? ?